$10-20 (sliding scale) and free to Friends of Kala members. Tickets available on Eventbrite. Email ellen@kala.org for membership info. Kala Gallery will be closed for a private event on Thursday, January 18, 2-5pm. Please call the office (510-841-7000) if you have any questions. Thank you! 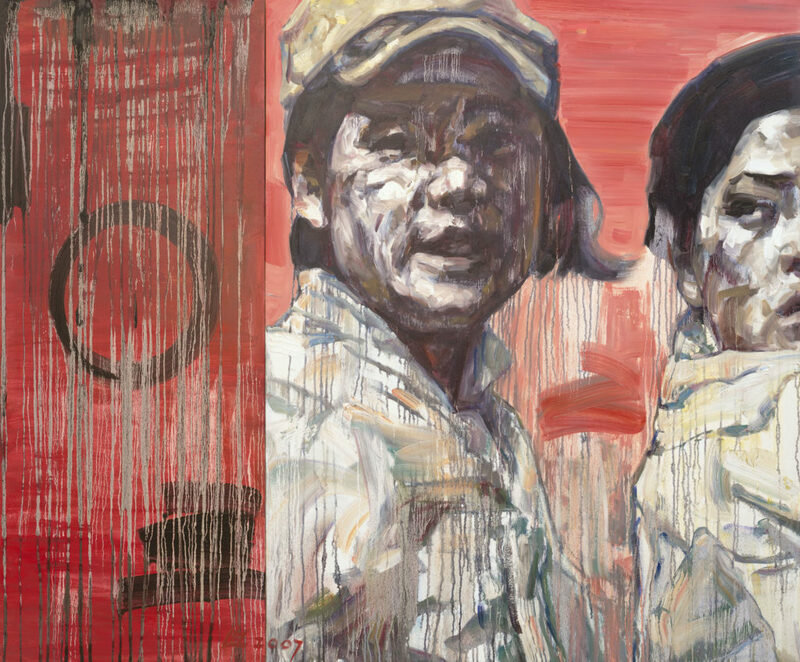 Kala Art Institute is proud to present Daughters of China, a solo exhibition of acclaimed Bay Area painter Hung Liu’s work. 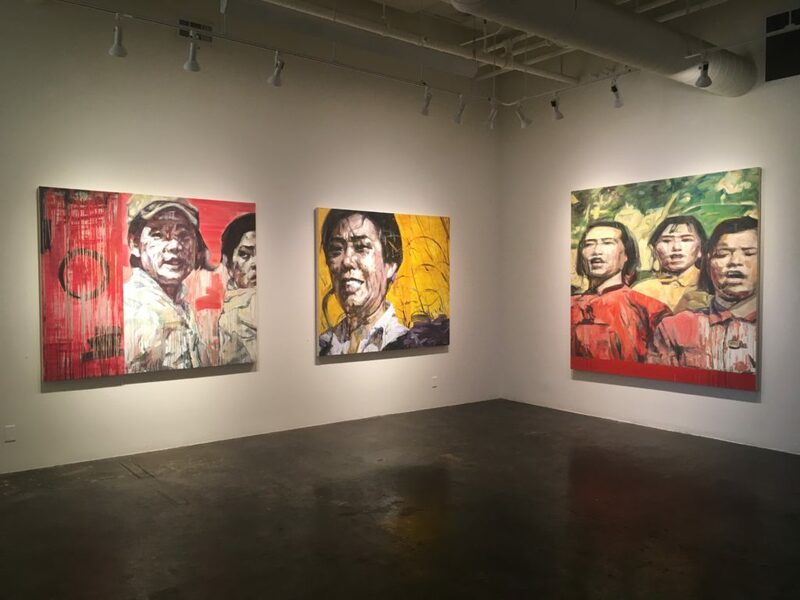 Curated by Peter Selz and Sue Kubly, the exhibition features a series of Hung’s paintings based on a well-known propaganda film Daughters of China from 1949 that Liu remembers seeing as a child. The film depicts an actual 1938 event in which eight female soldiers fighting the Japanese staged a rear-guard action that allowed the Chinese army to escape. Cut off with their backs against a river, they were coaxed to surrender when the Japanese realized they were women. Rather than capitulate, the eight young soldiers—ranging in age from thirteen to twenty-eight—carried their dying and wounded into the river and drowned. 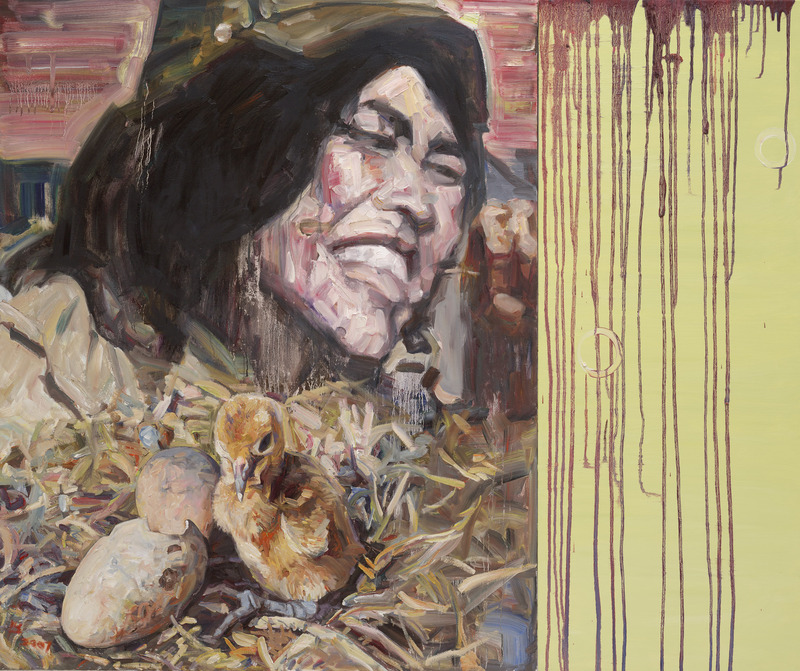 Arise Ye Wretched of the Earth, (2008) shows the women as they struggle in the river. Indeed, with its drips and washes, the painting seems to be drowning its own subjects. The exhibition of Daughters of China and related programs are supported, in part, by the Phyllis C. Wattis Foundation. For opening reception, beer provided by Fort Point Beer Company. Music by B Street. Hung Liu: ‘Daughters of China’ @ Kala + Interview!